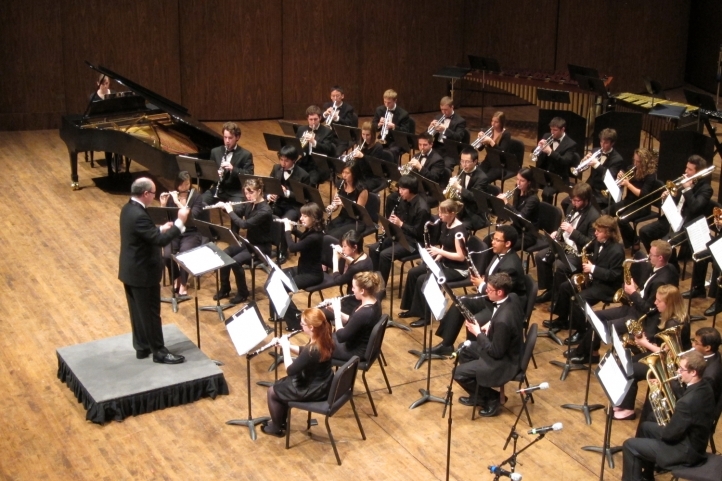 The UW Wind Ensemble and Symphonic Band perform music by Joseph Schwantner, Gustav Holst, and UW faculty composer Huck Hodge in the group's fall quarter concert, "Evanescent." With Donna Shin, flute. Hammersmith: Prelude and Scherzo, Gustav Holst. La Llarona (2013), Huck Hodge. Donna Shin, UW faculty flute soloist.